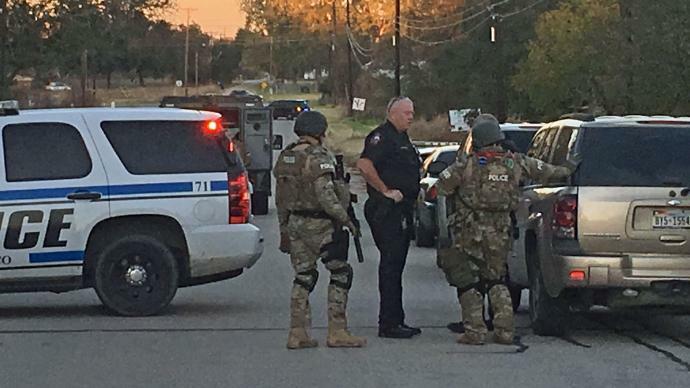 WACO, Texas -- A Waco police SWAT team negotiator succeeded Wednesday evening in convincing a wanted man in his 50s who was barricaded in a shed in a residential neighborhood to come out, CBS affiliate KWTX reports. The standoff started at around 3 p.m. Wednesday after officers went to a home in South Waco to follow up on theft reports. The man for whom the officers were looking was standing near a shed behind a private home, but went inside the shed when he spotted police. He’s named in a burglary of a habitation warrant and a parole warrant, is a member of the Aryan Brotherhood, and has a record that includes firearms offenses, police said.